ISIS, James Foley, $1 million: Terrorist group wants to sell murdered hostage's body. 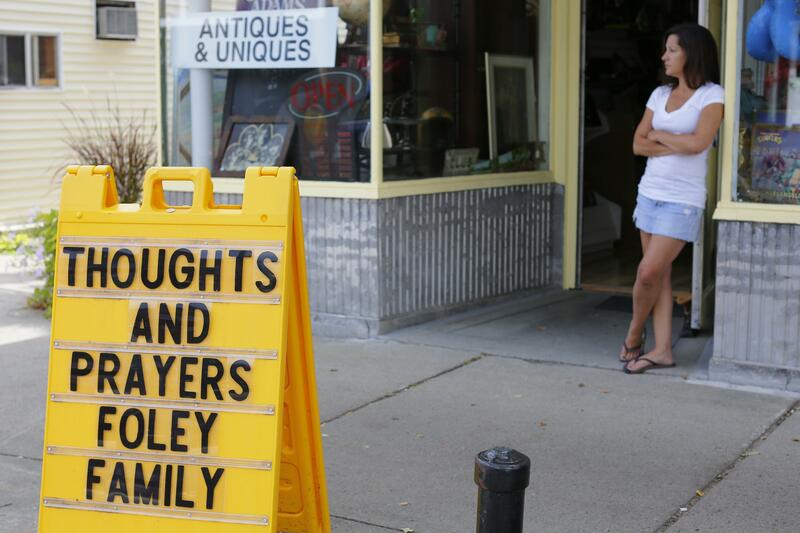 A sign in Rochester, New Hampshire, James Foley’s hometown. Three sources in contact with ISIS or its associates told BuzzFeed News that it wants to sell the remains of James Foley, the U.S. journalist whose August death was the first in a series of high-profile executions of Western hostages by ISIS hands. They said ISIS wants $1 million for Foley’s body, which it would deliver across the border to Turkey, and that the group was willing to provide a DNA sample to facilitate a deal. One of BuzzFeed’s sources is a former Syrian rebel fighter, one is “a businessman,” and one is an official in the U.S.-backed Free Syrian Army who Giglio says has served as an intermediary for other negotiations between ISIS and foreign governments. The United States, unlike some European countries, refuses to pay ransom for ISIS hostages; Foley’s family has said that American officials told them on multiple occasions that they would be prosecuted if they paid for their son’s release.